WoW! Thank you so much for my wonderful postcard!! I am honoured you picked my home! My name is Tracey and I bought my house back in August 2006. I live here with my Partner and youngest 2 children as my eldest has moved into his own first home last year. 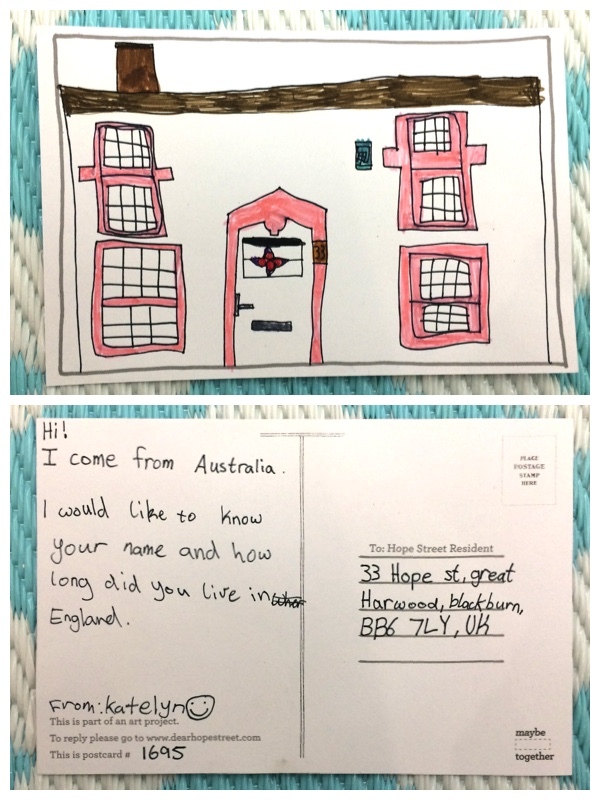 I am going to copy the back of your postcard & frame the front and back together in a picture frame and hang on a wall in our home, as your drawing is a picture perfect of our house! Thank you sooooooo much for picking our house again!